The Court Appointed Special Advocates Program (CASA) is looking for new volunteers. No special training or experience is necessary. Training is offered which gives the volunteers all the information they need to be an invaluable resource to a needy child. The training schedule will accommodate the needs and availability of the volunteers. The CASA program provides volunteers to work with children who are the subject of Juvenile Court hearings and give those children a person who will create a positive relationship while advocating for the programs and services that will be in the child’s best interest. Volunteers are appointed by the Juvenile Court to work with their case and will work closely with all the agencies in the community in the child’s behalf. For more information about the program and this training opportunity, please call John at 257-1980 or email to jstettler@nexusyfs.org. Please take a moment to watch this heartwarming (and true!) story told through song. “Every Child’s Eyes,” a short video (4 min 13 sec), tells the story of a young boy in foster care, a friendship, a CASA volunteer, and the gift of a forever home. Please share this video with your friends and family so they can learn about CASA’s critical role in a child’s life. And hopefully become a CASA! Let us know what you think. And thank you for your support! In 2015 NCIP will incur more legal costs than at any time in the past 11 years. Join us at the beautiful Helwig Winery on Saturday, January 31, 2015 as we start the year with a fundraiser to help with those legal costs. The doors will open at 6:00 pm for a Surf &Turf dinner featuring crab and prime rib. No Casino In Plymouth attorney Ken Williams will be present to discuss the current status of our litigation and take questions. The decisive legal battle has begun with Big Government and Big Money still trying to force an unwanted casino on Plymouth. If built, the proposed casino will destroy forever this unique foothill community. Our first battle is being fought in federal district court. The Government and Casino interests have assembled a large team of lawyers. On behalf of the Plymouth community, NCIP is going up against their deep pockets with dinner dances and yard sales. But, we are also armed with the truth, attorney Ken Williams, and most importantly, a community committed to supporting this cause. Federal and tribal lawyers fired a lengthy volley of verbiage in their recent reply to our Motion for Summary Judgment. Instead of responding to the merits of our motion, the defendants attacked our motion vigorously maintaining in effect that the Department of the Interior can create the standards for review of its own actions, and we must accept the Department’s judgment that it met its own standards. We strongly disagree and will continue to argue that the Department's decisions related to the proposed casino were contrary to law and their own regulations. Our reply is due in February. We are fighting to preserve the rural and wholesome nature of our community that is the foundation of our unique foothill lifestyle. This effort requires fortitude and financial commitment. NCIP remains more determined than ever but we need your continued help. Please plan to attend our fundraisers. You will find good neighbors, good food, and information about this issue. If you cannot attend please make a donation. programs we have planned for this new year. details in our next newsletter. A gift card will be mailed to the person you honor in recognition of your contribution. This is a wonderful way to recognize a friend or family member while providing hope to those most vulnerable in our county. Dating violence is more common than many people think. The loveisrespect National Youth Advisory Board (NYAB) is hosting Respect Week, February 9-13. Download the NYAB toolkit filled with activities for you and your friends to make a difference this teenDVmonth. On February 10, join Wear Orange 4 Love, by getting as many people as you can to wear something orange in honor of teenDVmonth. 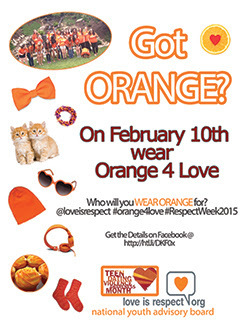 Wear orange shirts, nail polish, ribbons, jewelry, shoes or anything else you can think of. Tell people why you are wearing orange and post pictures and updates ourFacebook page! :) relationships feel supportive, respectful, trusting and fun! In honor of Teen DV Month, write a poem, create a piece of art, sing a song or record a video to express how :) relationships feel to you! 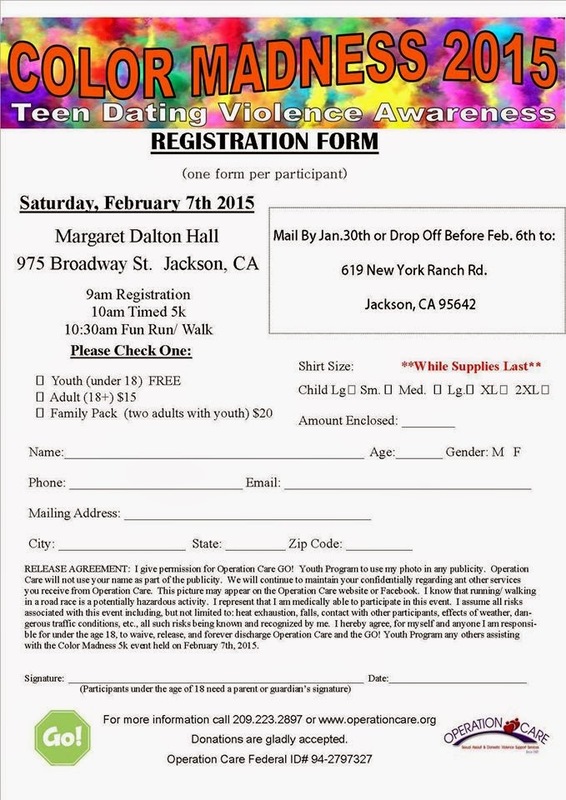 Any California teen 14 years of age and older may submit an entry. The winner will receive an electronic tablet! This is going to be our best show ever! Help to raise funds to help victims of domestic violence and sexual assault. 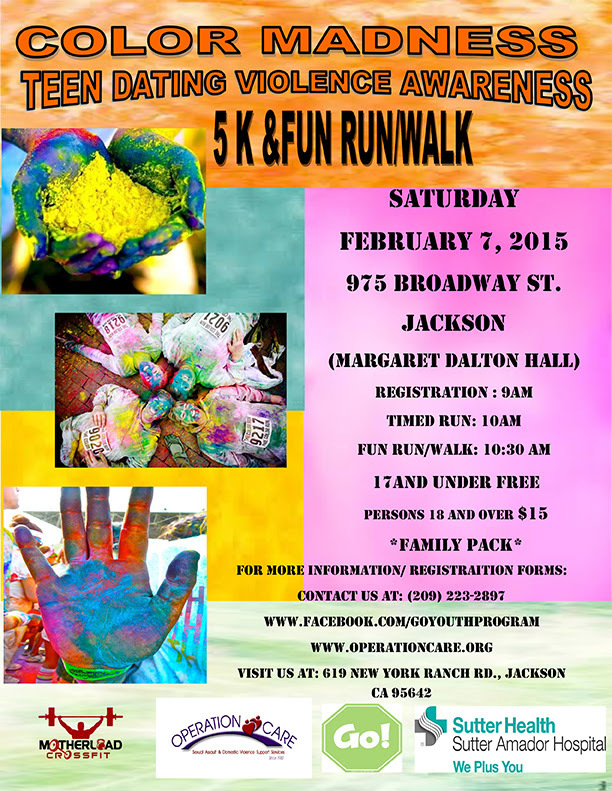 watch our website at www.operationcare.org or our facebook events page for details. Back in 2011, I wrote a blog for the Amador Music Hub (no longer available online) about California Governor Jerry Brown (with help from the Assembly and Senate) dealing a harsh blow to county fairs when he signed Assembly Bill 95 (AB95). The bill completely eliminated funding for the California fair network, leaving more than 30 fairs, including Amador's, threatened with closure. Funding for the fair has always come from State funds generated by horse-racing activities as well as local donations of property, cash and talent. With the horse-racing funds depleted, the State has now cut all support for county fairs. This leaves local residents with the responsibility to accommodate for the $220,000 shortfall. Normally, this would be not be a problem, as Amadorians are rather adept at pulling together and getting things done without the need of assistance, but when the State cut its funding, it didn't cut the expensive mandates (the state still regulates county fairs). For Amador, this means we cannot use volunteer labor or donated materials for certain things, and we still have reporting requirements that cost staff hours and office supplies for which we don't get reimbursed. The Amador County Fair has been the single biggest local cultural event since 1938. It brings together everything that is right about our county - agriculture, music, art, food and wine - plus there's the carnival rides, Frontier Town, the saw mill, Miwok Village and of course, the great carnie food (you gotta get a steak sandwich from Plymouth Rotary or a BBQ tri tip from Incahoots). There's the rodeo, tractor pulls, and demolition derby in Bennie Brown Arena at night too. Live music can be heard on three different stages from noon until closing. And we can't forget the Miss Amador pageant. This four day event at the end of July every year brings in $3.5 million in spending activity for the region, $29,000 in business-tax revenue, $110,000 for local non-profit groups, and $1.3 million in jobs for local residents. In 2011 and 2012, I helped put on a fundraiser called Fair Aid to help raise funds to save this important cultural resource. 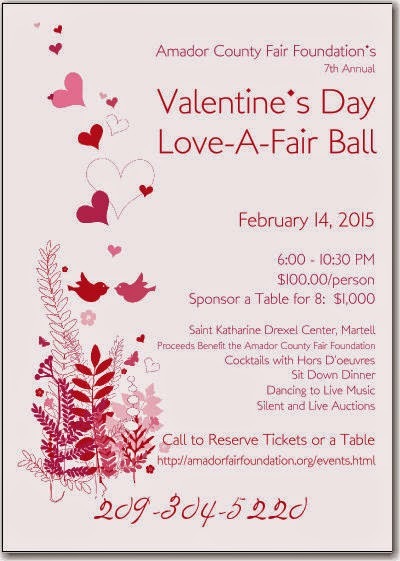 We're no longer doing that event, but on Valentine's Day, you can attend a The 7th Annual Love-A-Fair Ball. The special dinner dance will be held Saturday, February 14, 2015 at St. Katherine Drexel Church in Martell. Tickets are $100 per person or $1,000 for a Corporate Sponsorship, which includes a reserved table for 8 people, and your organization/company name clearly displayed on the table as well as noted in their brochure. Cocktails and hors d’oeuvres start at6 pm. Dinner is served at 7:30 pm. Festivities include a no host bar, silent and live auctions, a catered sit down dinner, live music by Wasted Space (I believe this is Mike Roser's band; he's the winemaker for Cooper. They are a lot of fun to dance to). This event is hosted by the Amador County Fair Foundation. 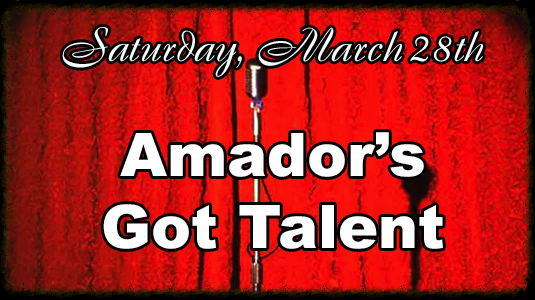 All proceeds benefit the Amador County Fairgrounds. 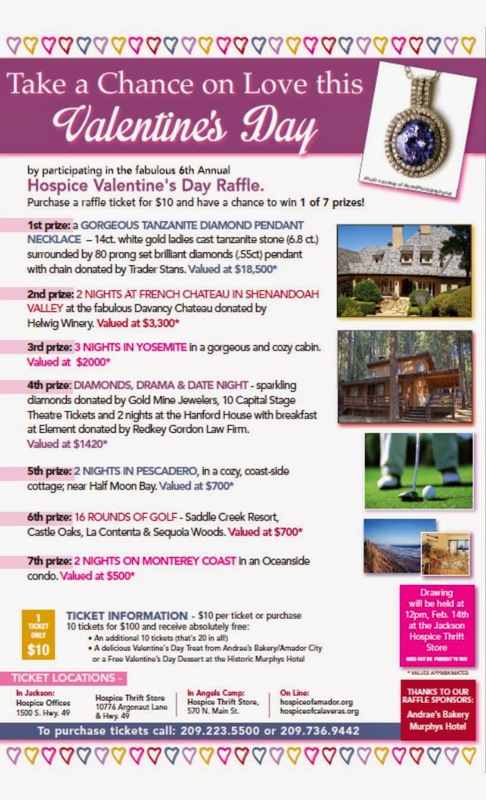 It’s time once again for Hospice of Amador & Calaveras’ 6th annual “Take a Chance on Love” Valentine’s Day Raffle. This annual raffle is one of the most important fundraisers of the year for Hospice of Amador & Calaveras. This year’s grand prize is an absolutely brilliant 14KT white gold ladies cast tanzanite and diamond pendant with chain, valued at $18,500. The pendant features a tanzanite set within a two tiered diamond bezel, completed by a diamond bail. This very generous donation was made by Stan Lukowicz of Trader Stans in Jackson. This oval tanzanite stone is a stunningly beautiful 6.8 ct. surrounded by 80 prong set brilliant diamonds (.55ct). Second prize is a 2 night stay at the fabulous Davancy Chateau donated by Helwig Winery. The Chateau is a 3-story, 6 BRs, 4.5 bath stunningly beautiful property located on a 40 acre gated French Style Estate. This property is really out of this world and to take a closer look please visit www.davancychateau.com . Value of this prize is $3300. Third prize is a 4 day and 3 nights stay for six in a gorgeous and cozy Yosemite Cabin. This is a great opportunity to get back to nature and enjoy some reflective time with nature. The cabin is donated by Dr. Ralph Harder and his wife, Hospice volunteer Isolda and is valued at $2,000. Fourth prize is entitled ‘Diamonds, Drama & Date Night’ and it includes: Sparkling diamond earrings that were donated by Tom and Pattie Peyton at Gold Mine Jewelers in Jackson; 10 Capital Stage Theatre Tickets donated by Barbara & Jim Ferguson; 2 night stay for 2 at the beautiful Hanford House in Sutter creek and is being donated by Redkey Gordon Law Firm. This romantic getaway includes breakfast at the delicious and chic Element Restaurant. This is a wonderful opportunity for you and your special someone to enjoy a local getaway that reminds the two of you why you fell in love to begin with and is valued at $1420. The fifth prize is a 2-night stay in a cozy cottage in the coast side village of Pescadero just 10 miles south of Half Moon Bay. Visit the Elephant Seals across the highway and enjoy cocktails at Duartes Tavern. This is a terrific getaway valued at $700. The sixth prize included in this year’s raffle includes 16 rounds of golf at Saddle Creek Resort, Castle Oaks, La Contenta & Sequoia Woods (est. value $700). The final prize donated by Wayne Garibaldi is another fabulous getaway that takes you and your special someone to the beautiful coast of Monterey. Enjoy this 2 night stay in an Oceanside condo and explore the beautiful coast of California. This prize is valued at $500. Tickets are $10 each or purchase 20 tickets for $100 and you’ll receive a gift certificate for a free Valentine treat from our friends at Andrae’s Bakery in Amador City or a free dessert gift certificate from Murphys Hotel. Tickets available by calling 223-5500 or 736-9442, or by visiting the Hospice office at 1500 So. Hwy 49 in Jackson or by visiting their thrift stores in either Jackson or Angels Camp. The drawing will be held at noon on Feb 14th at the Hospice Thrift Store in Jackson and you need not be present to win! All proceeds will benefit Hospice of Amador & Calaveras, end-of-life specialists, trusted by physicians, patients and families for over 30 years. To get your tickets, please call Hospice at 223-5500 or 736-9442 today or visit them online at www.hospiceofamador.org or www.hospiceofcalaveras.org. 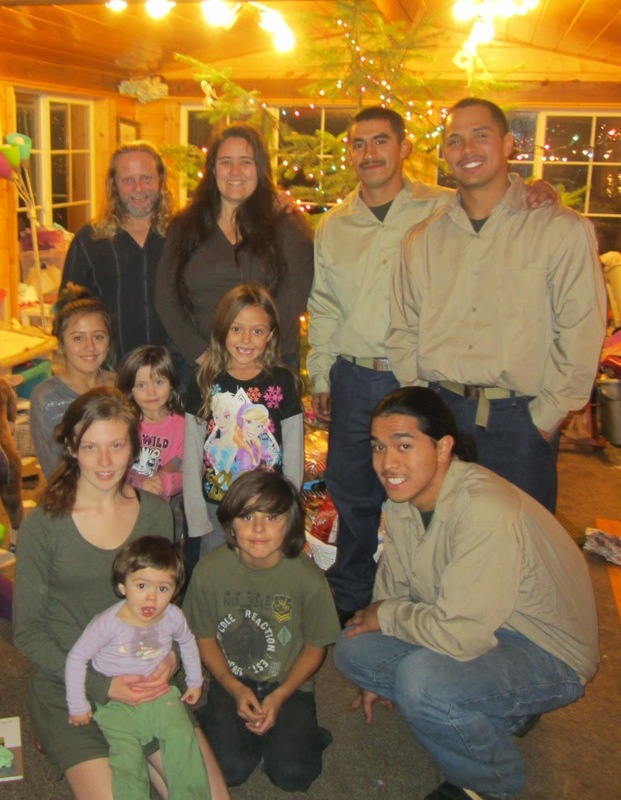 Pine Grove Youth Conservation Camp youth and staff united together this year to make the holidays special for two wonderful families. Together we raised $2600.00 to make the holidays a lot brighter for these families. On 12/22/14 YCC Deborah Brady along with three Pine Grove Fire Fighters visited the homes of these two deserving families to deliver gifts, food and clothing to them. All of the children were very delighted to see the beautifully wrapped packages coming to their door. The parents were very grateful and moved to tears by the generosity of the camp. It was a very rewarding experience for all of us. The guys that delivered that packages said It felt really good to them to see that the money they donated made the families so happy. One of them commented that it felt really good to give back to others, because he knows how it feels to go without things you need. LOCKWOOD FPD “SOUPER SATURDAY - Saturday, January 24 at 6:30PM at the LFPD Station #2 (at the corner of Shake Ridge and Hale roads, above Volcano). 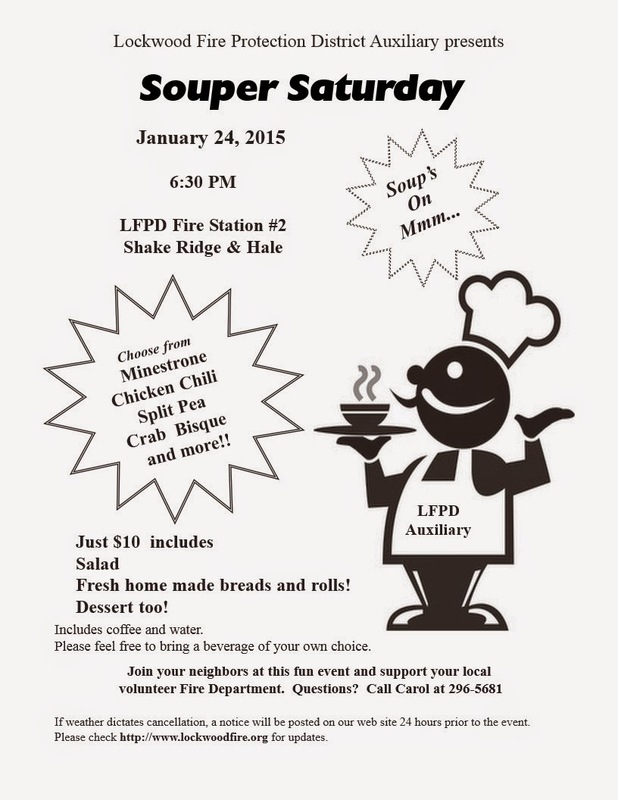 Come support your local fire department and have some of THE best soups in Amador County! Just $10.00 per person gets you a bowl to fill up and taste Split Pea, Minestrone, Crab Bisque, Chicken Chili, Potato Leak, and more. PLUS home made rolls and breads, with salad and dessert included. Visit: http://www.lockwoodfire.org. 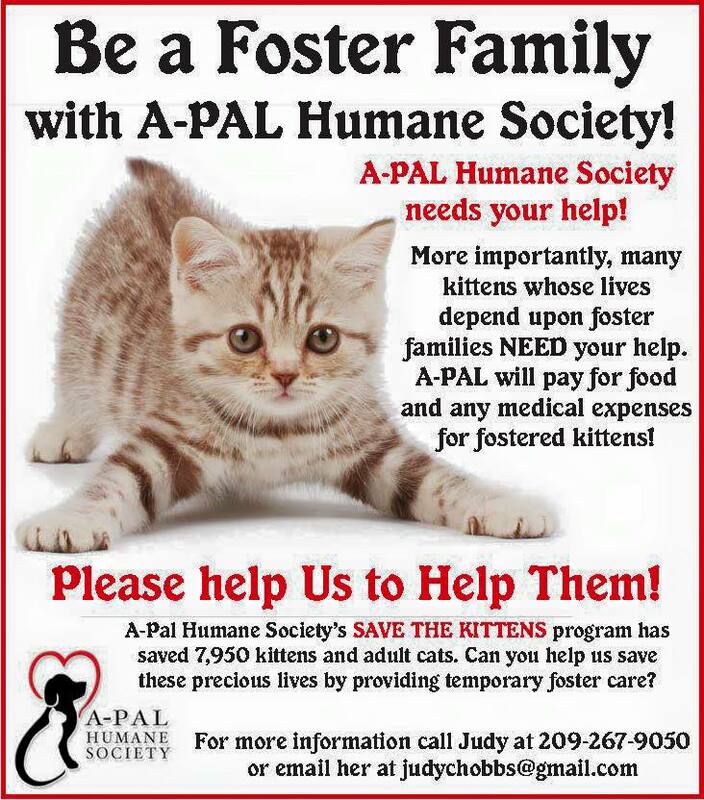 Contact Carol Asmus at 296-5681 for more info. What better way to support your fire department than with good old fashioned comfort food?